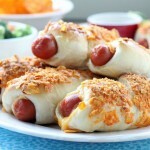 Hot Dog Mummies - Dessert Now, Dinner Later! 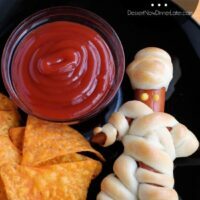 Hot Dog Mummies are a fun Halloween food your kids can help make! Are your kids as excited for Halloween as mine are? They are so glad it’s finally October! We’ve been watching Hocus Pocus since July, it seems! Haha! 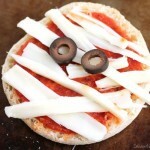 I’m not a huge fan of Halloween, as far as the scary stuff goes, but I like the cutesy Halloween stuff, so this post reflects a cute Halloween meal you can make your family before you head out the door to trick-or-treat! 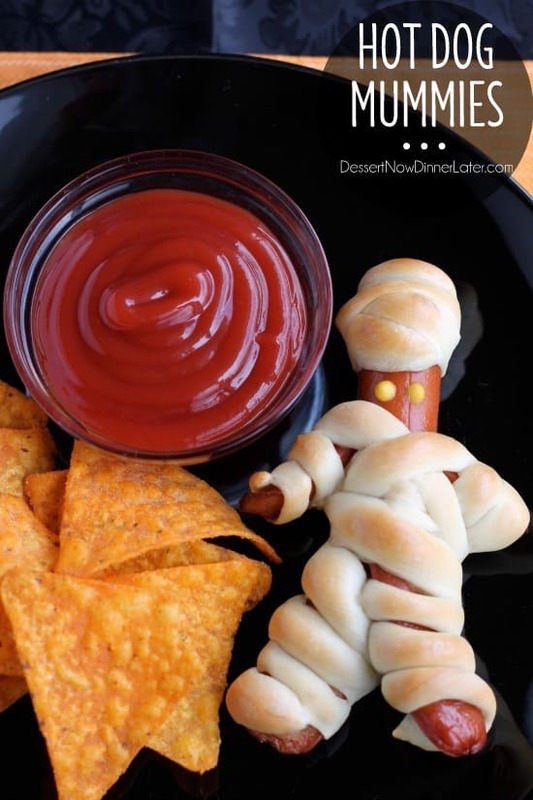 These hot dog mummies are fun to make and eat! 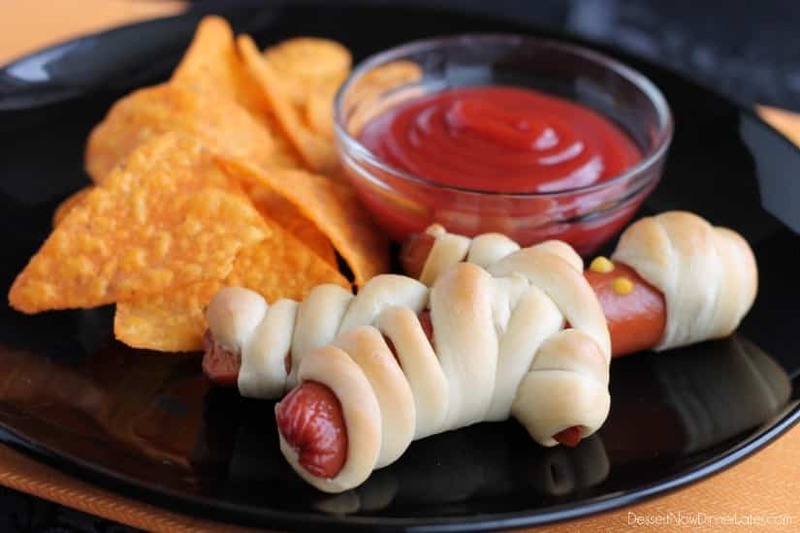 The kids can totally help roll the dough into ropes and wrap their hot dogs up! It’s fun for them to dip an arm or leg in the ketchup and laugh about eating “someone” as well. Haha. You are not going to believe how easy these are to make! 2 ingredients and 15 minutes in the oven! 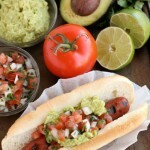 I made these Hot Dog Mummies for my contributor post on the Rhodes blog this month! Go check it out, there’s even a link to a video tutorial as well! For a step-by-step photo tutorial, visit the Rhodes Bake-N-Serv Blog. Cut arms and legs on hot dog. Be sure to leave about 1½ inches for head. Cut small piece of dough off of one roll to use as head wrap. Cut the rest of the roll in half. Roll the head wrap into a rope about 6-7 inches in length. Roll the other two pieces into 2 ropes about 18-20 inches long. Starting at the foot and using one long rope, wrap the dough around one leg about 4 or 5 times, 2 times around the body and up and over a shoulder and 3 or 4 times down one arm. 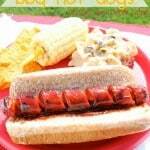 Repeat on the other side of the hot dog body. Use the small dough rope and wrap around the top of the head about 3 times. Place mummy on a sprayed baking sheet and bake at 375°F 10-15 minutes or until dough is golden brown. Let cool slightly and use two dots of mustard for eyes. These little guys are way too cute, Amber! Love it! Thanks! I wish I was original in this idea, but I had Rhodes’ video tutorial to help me! 😉 They did turn out pretty cute though! Haha yes, my husband is the one that gets super excited about Halloween but this year my lil guy is older and can’t wait either:) Love love love these little mummies, so creative and they are super adorable!!! Holidays are much funner when you have kids who get really excited about them! My goodness, these are too cute! What a great idea for Halloween! Thanks Ashley! My kids sure thought they were fun! Seriously can’t get over how adorable these are!! Omg how CUTE are these little guys?! My family would love them! 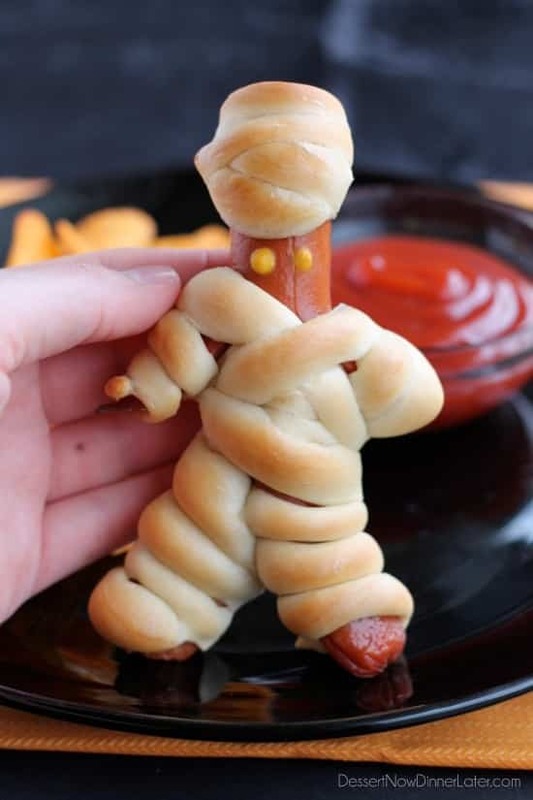 Would really love the recipe for the hot dog mummies!! Is there a way to get the actual recipe instead of just landing on the comment section? I’ve tried and tried!! Much impressed by your creative ideas!! Try a different device maybe? Let me know if you can’t get it and I will email it to you. You should be able to see and print the recipe from that link.